Sept. Sunday 18, 1864 Near East Point, Ga. It has rain most all day it commenced last night there is not much of note in camp today. I was up to the regiment this afternoon. 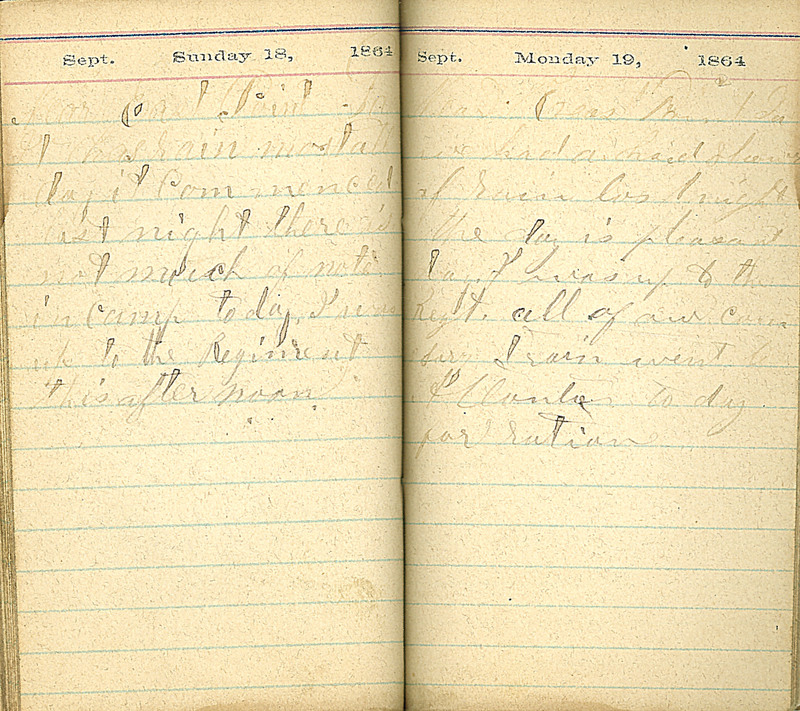 Sept., Monday 19, 1864 Near East Point, Ga. We had a short shower of rain last night the day is pleasant to day. I was up to the Regt. all of our comisary Train went to Atlanta to day for rations.